Its that time again! – VMworld, and let me tell you, this year its going to be epic! I wanted to give you a list of all the PowerShell and PowerCLI sessions listed in this years Session Catalogue for San Francisco, if you don’t have these booked make sure you add them straight away as room is running out fast ! We have some great decks and some awesome demos planned, don’t miss them. And if you see me come say hi and tell me how you use PowerCLI, you never know I may have a spare sticker, poster and badge to get rid of. William Lam – Sr. Technical Marketing Engineer, VMware, Inc.
Alan Renouf – Sr. Technical Marketing Architect, VMware, Inc.
Aidan Dalgleish – Consulting Architect, VMware, Inc.
Gary Blake – Senior Consultant, VMware, Inc.
INF-VSP1329 – PowerCLI Best Practices: The Return! Luc Dekens – Systems Engineer, Eurocontrol Maastricht. Eric Williams – Technical Marketing Engineer, Cisco Systems Inc.
Josh Atwell – Systems Administrator, Cisco Systems Inc. Attend the self paced Hands on Lab. Still cant decide ? Take a look at some of the session videos where the presenters explain more information….. 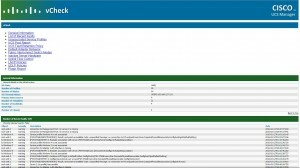 In the last post I gave a quick overview of one of the many cool features of the Cisco UCS PowerTool PowerShell Module, I showed how they had made it easy for the admin to pick up their toolkit and use it, how navigation over 1000+ cmdlets could be made easier, if you didn’t read it then you can find the post here. I quickly realized this was not going to be a one blog post affair as there are so many great features in this PowerShell module which impressed me, features I have not seen before in PowerShell (I may be wrong). How fast is your code ? One thing I have seen both developers and scripters fight with is the speed at which things can be done, most times when not using PowerShell to just manage the local machine there is an element of accessing an external system. There are many ways you can access these external systems depending on the company and the way the cmdlets are written. Its great that PowerShell often has a certain amount of caching, when objects are retrieved from the remote systems or machines they can be altered locally and then sent back to the original destination. It’s the sending back and retrieving information which can often cause some PowerShell cmdlets to be slow when working on large systems or when working with multiple systems. Developers of PowerShell Modules and snapins often do a great job of optimizing this to make things faster. In Cisco UCS PowerTool I saw a method I had not seen before which I thought was both a very system admin friendly and also optimized way of doing this. The following example code shows how to create a simple boot policy, for the purpose of this post it doesn’t really matter what the code looks like but keep in mind that after the end of each line, and during the line there will be calls to the Cisco UCS API retrieving and setting data, at the end of the below code we may have called the API around 10 times, add this up into a more complex piece of code and then ask it to work on multiple systems and our external calls soon mount up, each external call having an impact on the final speed of the script. $BootPolicy = Get-UcsOrg -Level root  | Add-UcsBootPolicy -Descr "Test Boot Policy" -EnforceVnicName "no" -Name "Test-BootPol" -RebootOnUpdate "no"
$BootLan = $BootPolicy | Add-UcsLsbootLan -ModifyPresent -Order "2" -Prot "pxe"
$BootLan | Add-UcsLsbootLanImagePath -BootIpPolicyName "" -ISCSIVnicName "" -ImgPolicyName "" -ImgSecPolicyName "" -ProvSrvPolicyName "" -Type "primary" -VnicName "1"
$BootPolicy | Add-UcsLsbootVirtualMedia -Access "read-only" -Order "1"
$BootStorage = $BootPolicy | Add-UcsLsbootStorage -ModifyPresent -Order "3"
$BootSanImage = $BootStorage | Add-UcsLsbootSanImage -Type "primary" -VnicName "0"
$BootSanImage | Add-UcsLsbootSanImagePath -Lun 0 -Type "primary" -Wwn "20:00:00:00:00:00:C0:00"
The Cisco UCS PowerTool team have put some thought into this and as well as the performance enhancements built into the cmdlets they have also introduced a couple of cmdlets to allow you to make a single optimized call to the API – this is a fantastic idea as you can basically build up your code in a nice block and then send it all, optimized for the API in one call to the Cisco UCS API. As you can see from the above code, we have added a Start-UcsTransaction at the start and a End-UcsTransaction at the end, so what does this do ? It allows all the code in between these statements to be gathered by the Cisco UCS PowerTool and optimized, then at the end one call is made to the API sending the complete data. Performance boost or what ?! I think the benefits of this are clear, more efficient, optimized and less frequent calls to the API can only mean faster code. I think its great that Microsoft created PowerShell and third parties are continuing to pick it up as it becomes the default scripting language for the datacenter, in my eyes this is one area where a third party company has taken a fresh new look at the way things are performed and made a clear enhancement. Very cool stuff, and there is more to come in further posts, I haven’t even got to the best feature yet ! 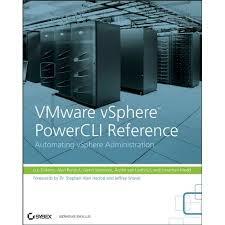 Today I was lucky enough to grab some time with Eric Williams and colleagues over at Cisco, they held a one day training course on their UCS PowerTool which is a PowerShell module for managing UCS Systems, if you haven’t seen the Cisco UCS systems I suggest you get out from under that rock and check them out, they are fantastic implementation of a PowerShell module, currently they are available as a beta under the Cisco Developer network here. Eric and the PowerTool Developers have done a fantastic job on PowerTool, at the moment they have 1498 cmdlets, I wont list them all here as that would be a post unto itself. A huge amount of cmdlets and that means a huge amount of coverage, they have around 99.1% coverage. There were many areas in this module that impressed me, most of all was the fact that only 35 of these cmdlets were written manually, the other cmdlets were generated automatically using the UCS Manager XML API and the schema, and I’m not talking about cmdlets which are just basic cmdlets either, these are fully pipeline enabled cmdlets ! In this post I will just mention one of their features which impressed me but I have a list of more to add so make sure you keep an eye out for further posts on this. The Module comes with a getting started guide which can be found here, this is well worth a read and is full of examples. At the time of writing this these are the only examples available as the cmdlets do not yet have help so the normal Get-Help cmdletname –Examples will not work. How do you navigate 1498 cmdlets ? One of the first things I wondered when I saw they had so many cmdlets was how do you find the one you need, obviously PowerShell has built in methods for this like using Get-Command with wildcards etc but with 1498 cmdlets this would only get you so far. Its great to see people putting thought into how to make things easier for users to use their cmdlets, this is a great way of showing the cmdlets and helping find your way around.